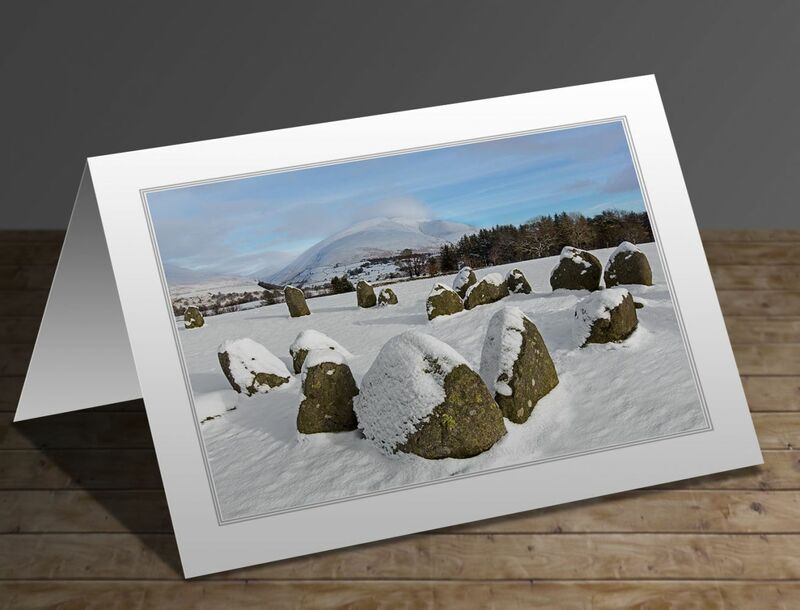 The write-up on the reverse of this card will be 'It had snowed heavily the night before, so I parked my car at the bottom of the hill and trudged the rest of the way up to Castlerigg Stone Circle. I was surprised to see so many people up there so early but the scene really was quite magnificent. Lots of snow, blue sky, fluffy clouds - just perfect. These occasions come few and far between in these days of global warming so I felt very lucky just to be there'.